A sumptuous Summer abounds! 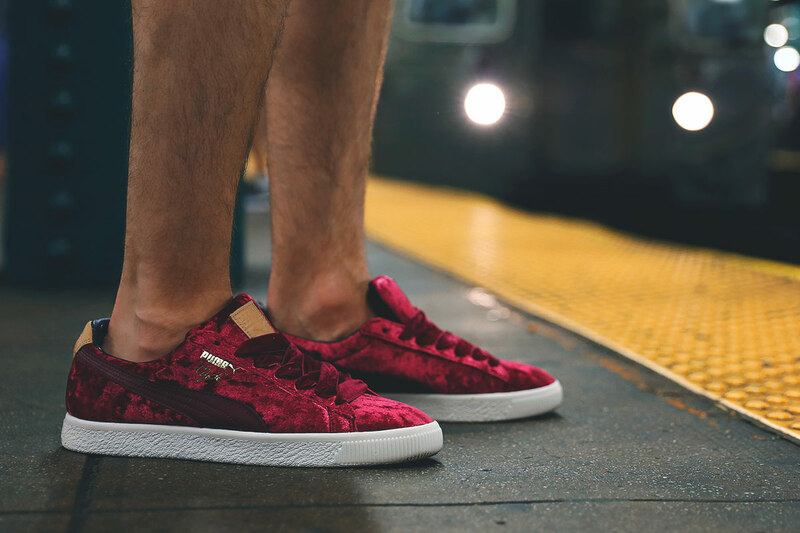 The camp at the downtown sneaker haven Extra Butter has teamed up with footwear staple Puma for a new pack. 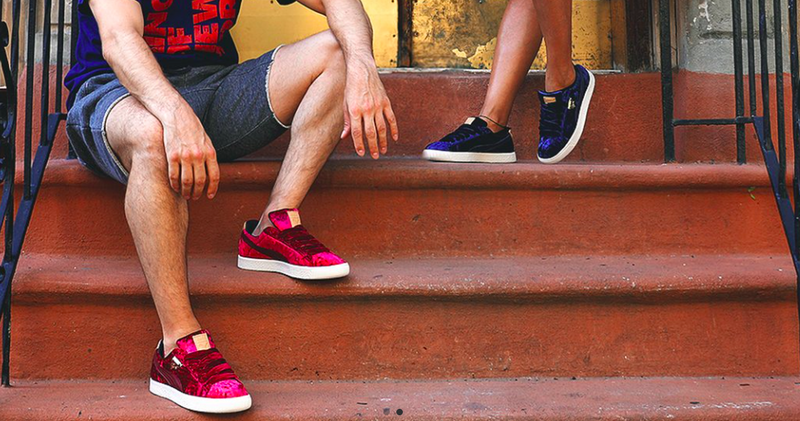 The Kings Of New York Clyde Pack features two redone versions of the famed Clyde silhouette. For this collaboration crushed velvet adorns the uppers in tactile cushy coolness in a brilliant 'peacoat' blue and a jewel-esque 'cabernet' red. They also feature velvet fat laces, perforated co-branded leather insoles, a tonal NY monogram on the leather collar lining and asymmetrical 'Extra Butter' on the soles of each foot. The King Of New York Clyde Pack drops online today at noon at ExtraButterNY.com and don't dismay, if you miss out on this jump then they also launch at EndClothing.com on July 15th.